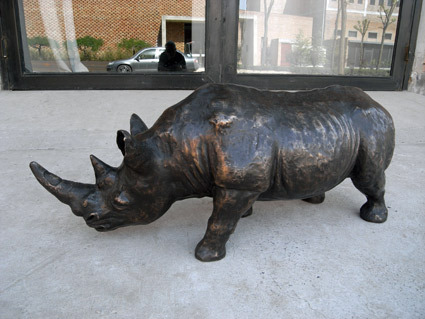 The rhinos have existed in the earth for more than sixty million years. 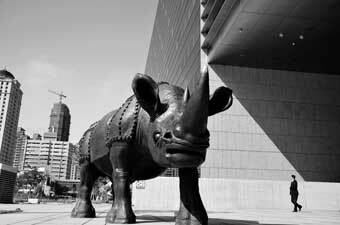 Their history is longer than the human. 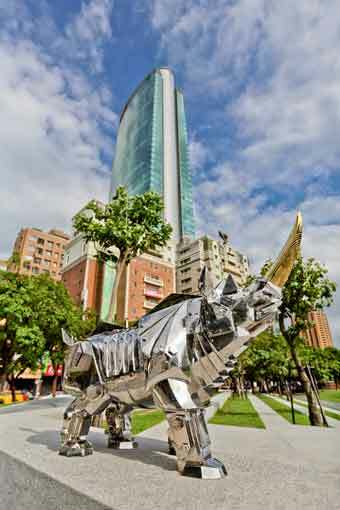 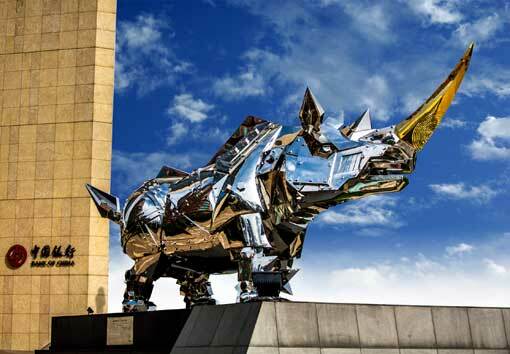 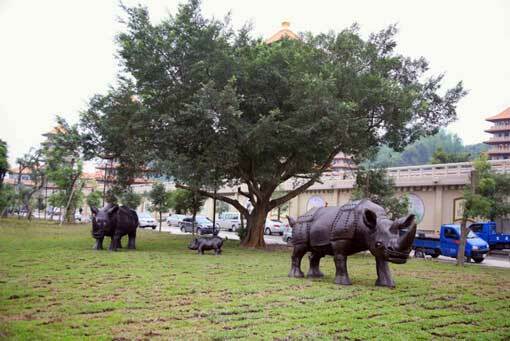 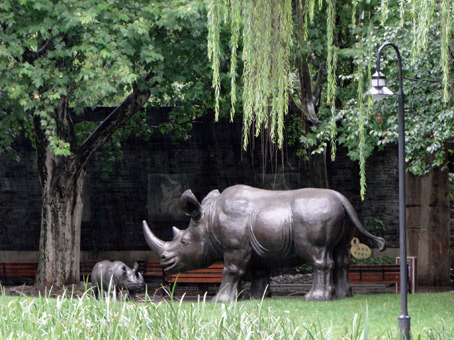 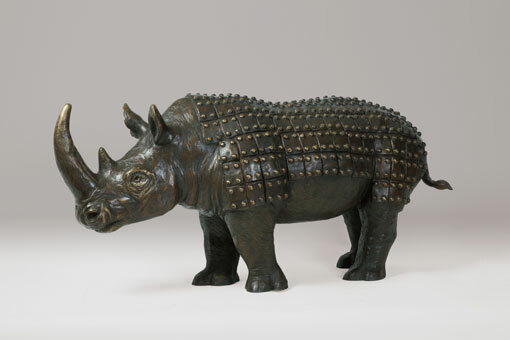 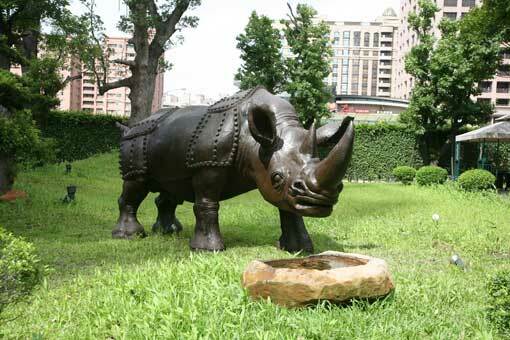 In ancient Chinese culture, the rhino stands for a sacred animal to ward off evil spirits. 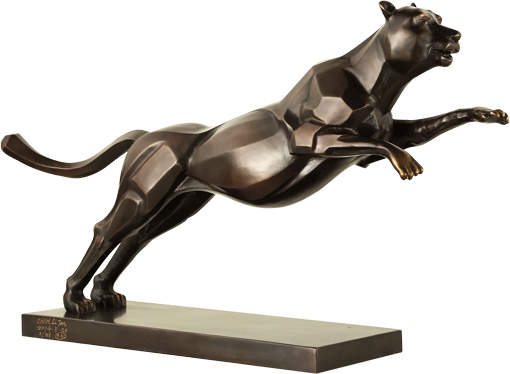 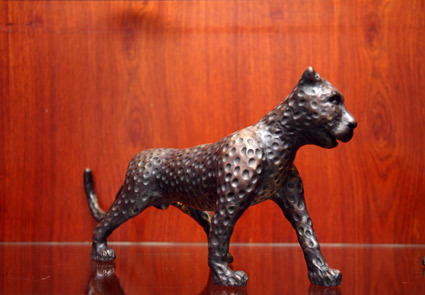 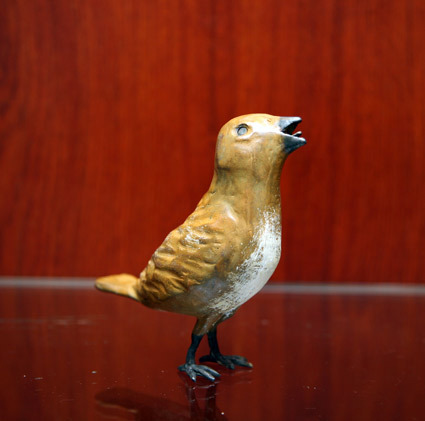 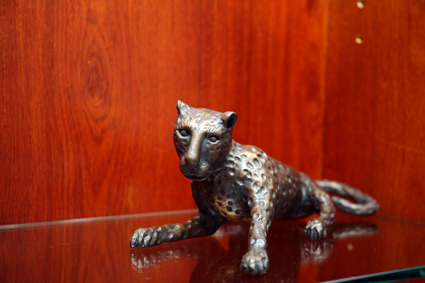 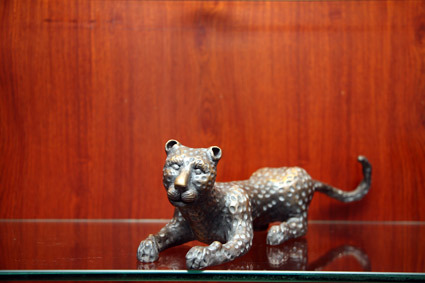 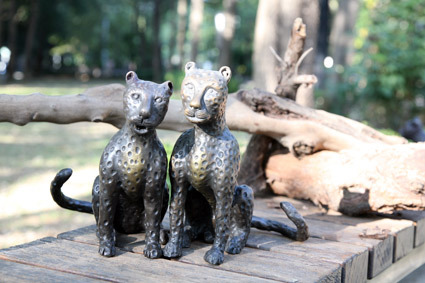 It was often used as the decorative design on the bronzes and contains a highly artistic value. 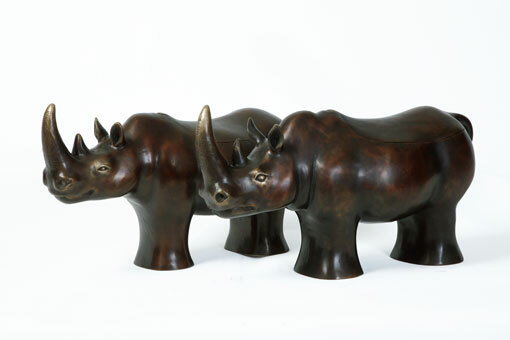 It was also applied on the jade craft to make the wine vessels in rhino’s shapes as a symbol of the king. 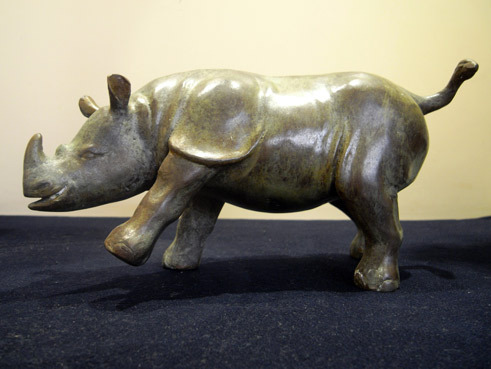 Rhinos’ horns are also good craft materials, there are lots of beautiful cups made from them, it was said that using the rhino-horn to drink could make the wine taste sweeter. 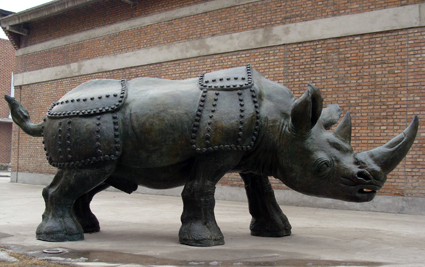 The leather suit of armour wore by the Yi-tribe warriors in Sichuan are the product from leather of rhinos. 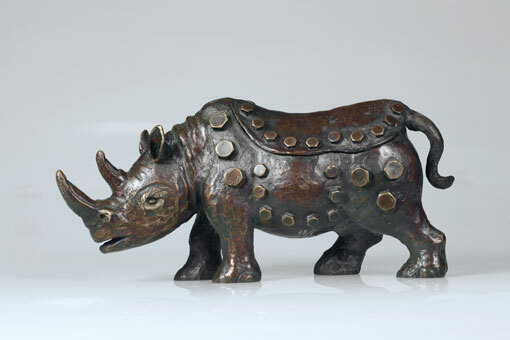 In the famous Chinese medicine and herbs guidebook Bencao gangmu by Li Shichen (1518-1593), rhino horns were described as a rare medicine to be able to detoxicate and to antidote the poison. 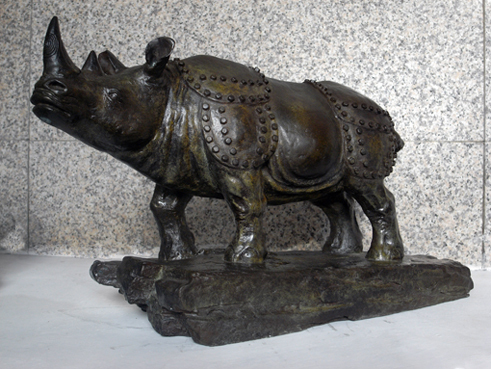 In Chinese phrase is a saying “Xiniu wangyue”(the rhino looks over the moon) inspired by the character of rhinos, meaning the long waiting and hopes. 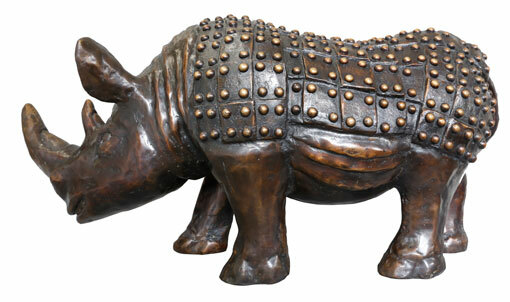 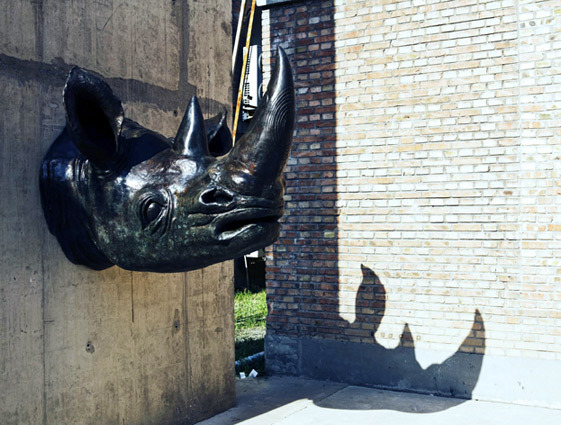 Rhinos have been one of the favourite hunting objects for the hunters, now they are protected by the IUCN, the International Union for Conservation of Nature. 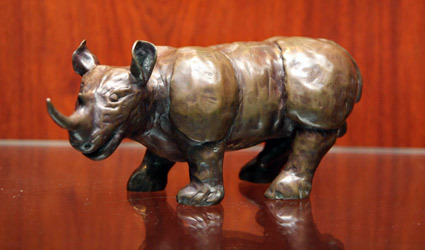 Rhinos are good at self-healing and named as the protector of the forest. 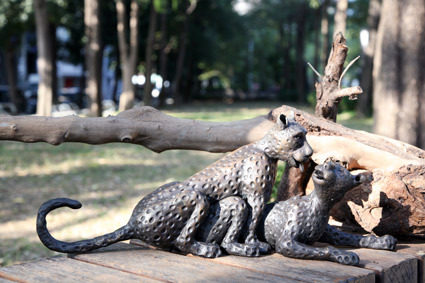 Their instinct to step the fire off helped prevent a lot of forests from being burned. 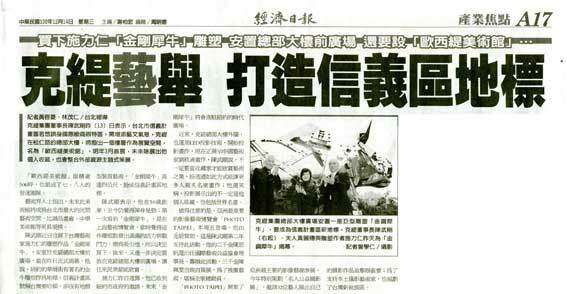 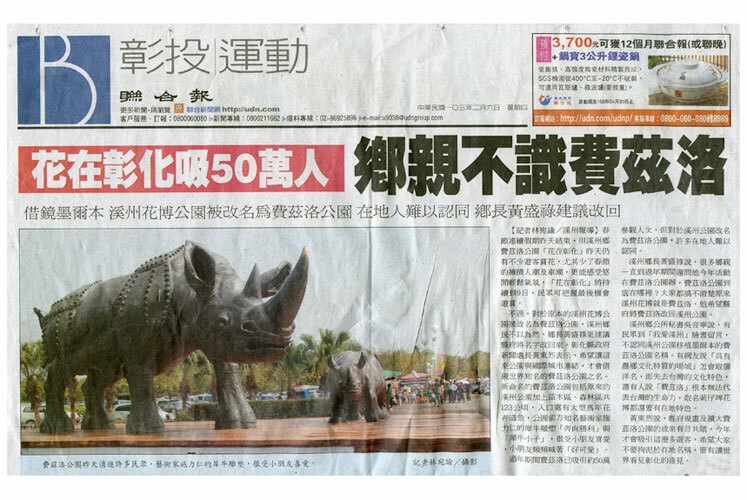 Because of this character, the fire brigade also used rhino as its logo. 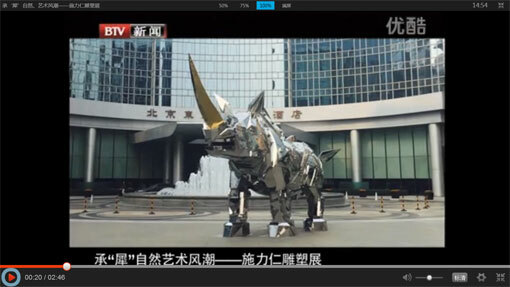 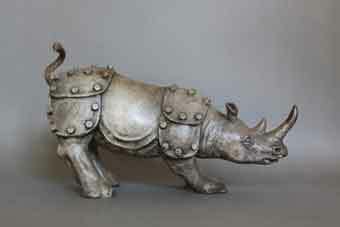 In the movie Avantar also used rhinos as an element to symbolize the justice. 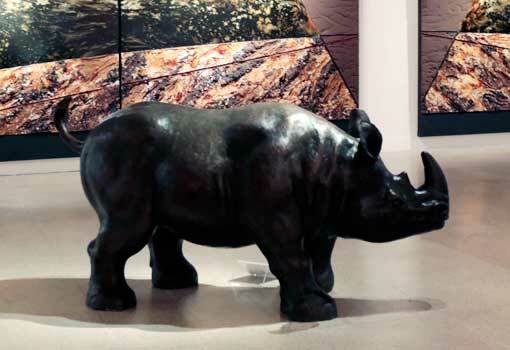 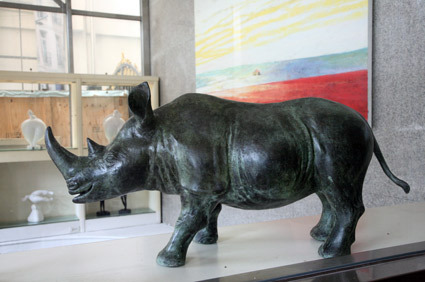 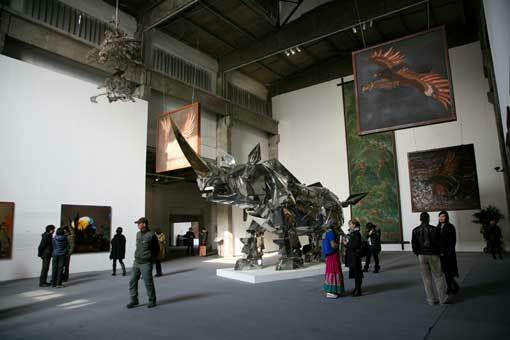 From the ancient time to nowadays, rhino has been treasure and rare. 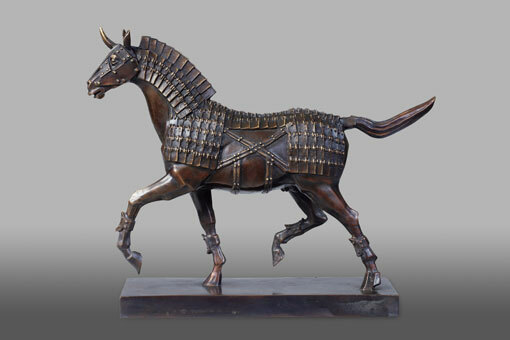 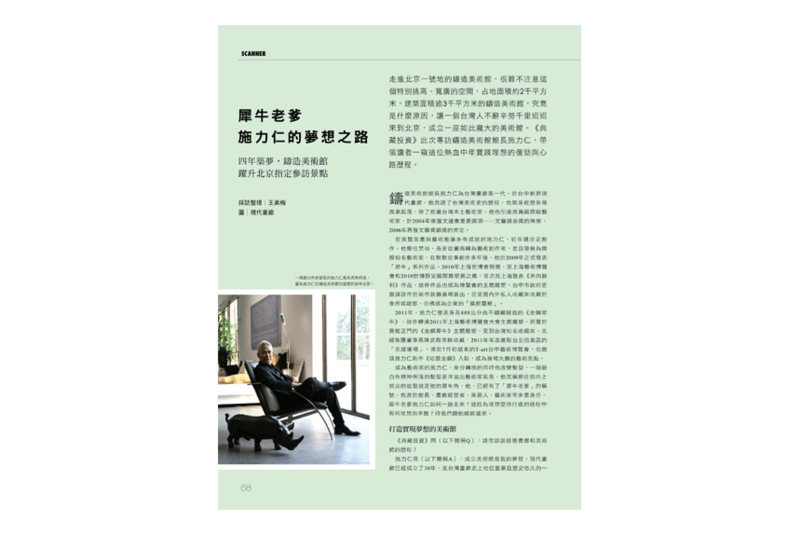 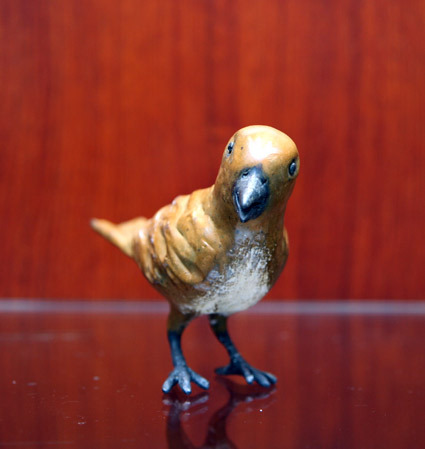 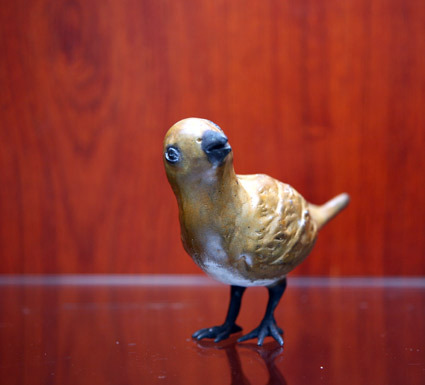 Although it is a creature from the remote antiquity, besides its stark look and sturdy character, his unique shape also contains a futurity with a sense of technology. 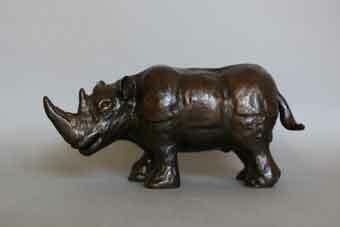 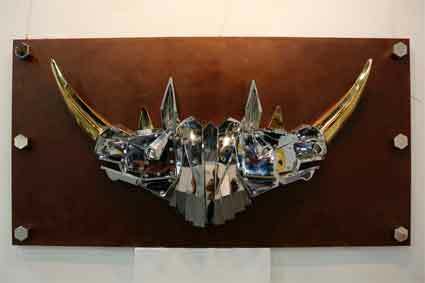 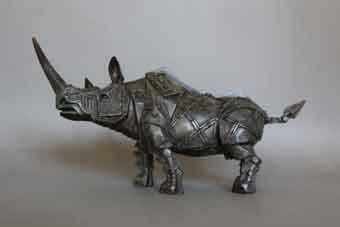 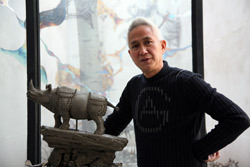 Thus I chose rhino as my subject to create a series of sculpture works. 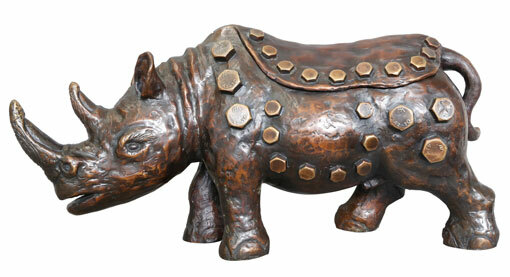 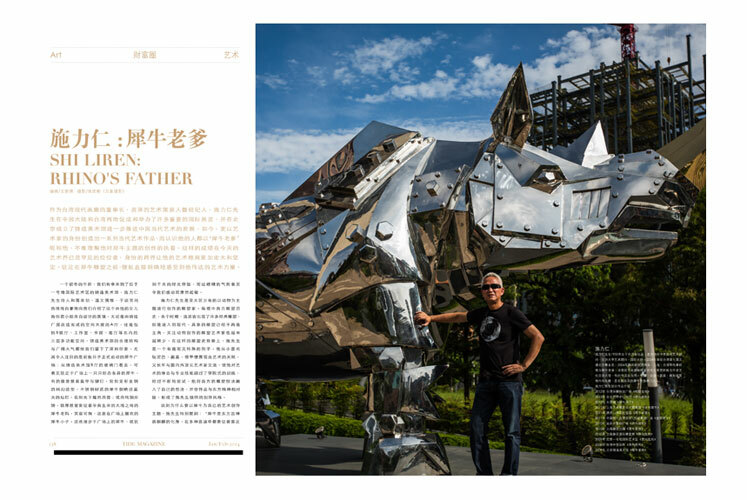 Rhino Father is the first work to begin from the series of Rhino Family. 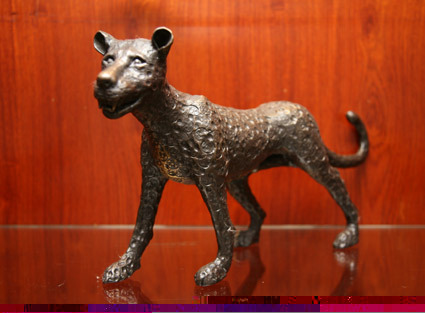 He has strong legs and a hard body to present that he is capable to protect his family and his territory and to carry the responsibility of taking care and lead the family. 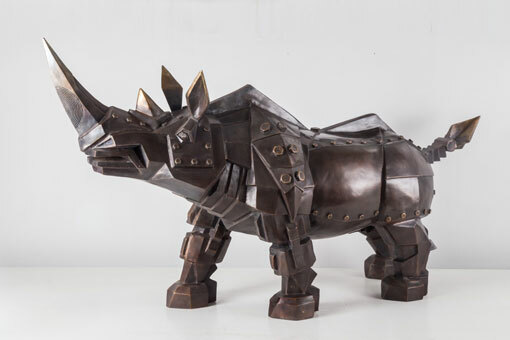 In my works I don’t just simply copy and depict the realistic outlook of rhino, besides its animal characters I add in more humane and mechanical representations to transform the classical realism into a modern vocabulary with an exploiting spirit. 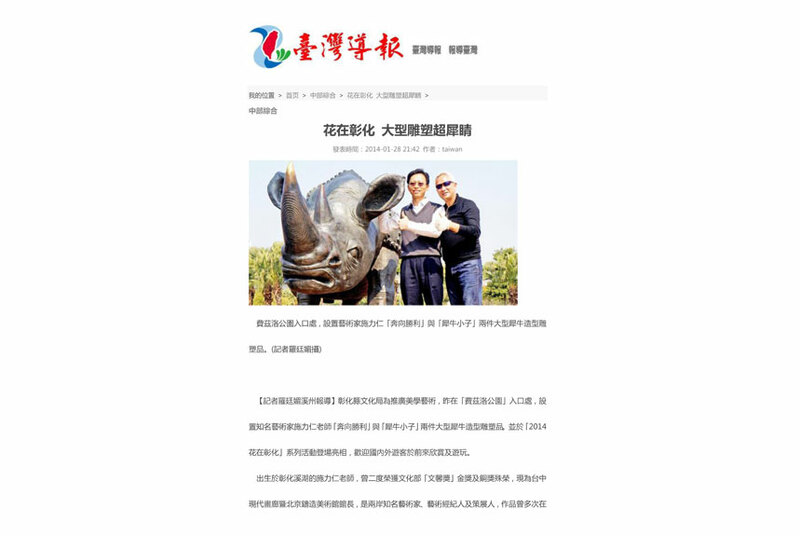 I transformed the rhino horn into the thumb that symbolizes the logo of a great leader to represent the great power and the hope of continuing his family. 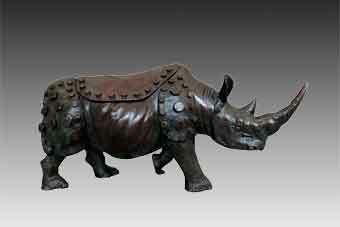 The tail stands for the torch of victory, the armour on his body represents his strong, hardy character. 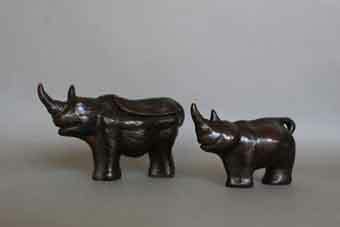 I plan to develop Rhino Family as a series of complete sculpture works. 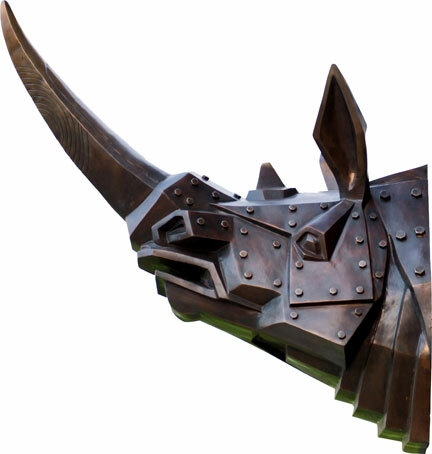 In the future, there will be Rhino Mother to stand for the Mother Nature that creates all the lives in the image of tenderness and care. 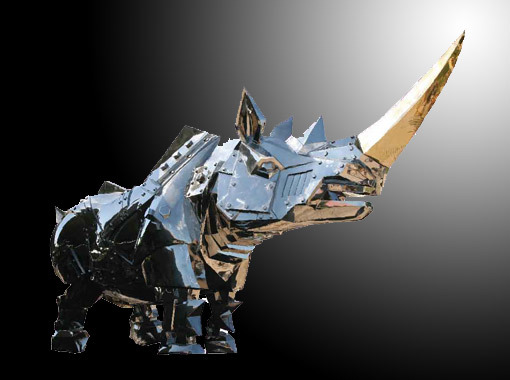 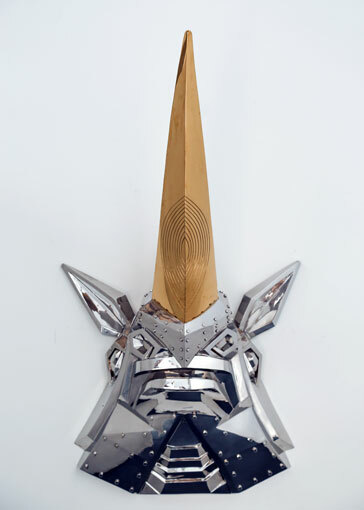 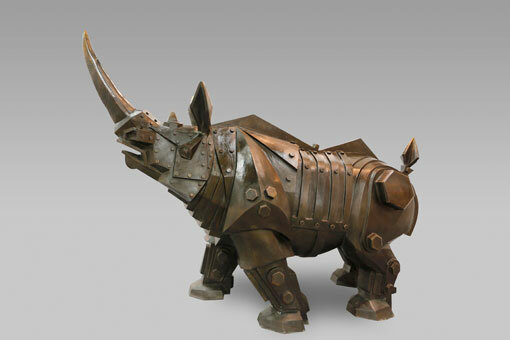 Rhino Boy will be made in a mechanical shape to symbol the look into the future. 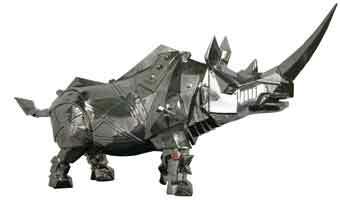 And then is Rhino Gril in a modern modish shape. 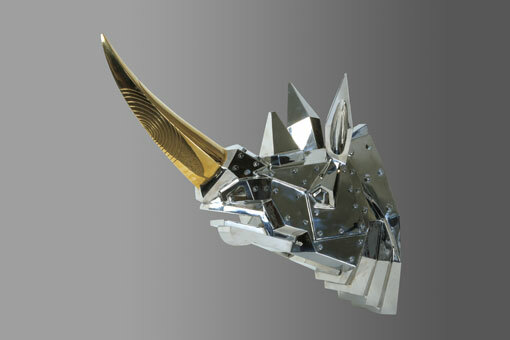 At last will be a Rhino House in a shape like the sport car Lamborghini with a minimal lines and classic shape. 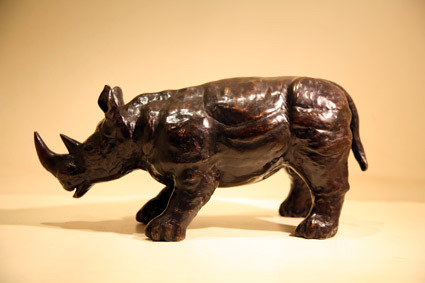 The works of Rhino Family express my views toward life and world, through the roles of a family, it tells my characters of both being strong and tender, on my way of leading the trend, I also not forget to pay homage to the eternal aesthetics of classics. 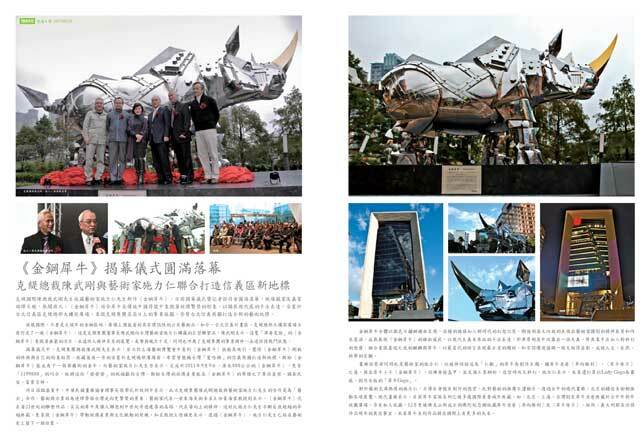 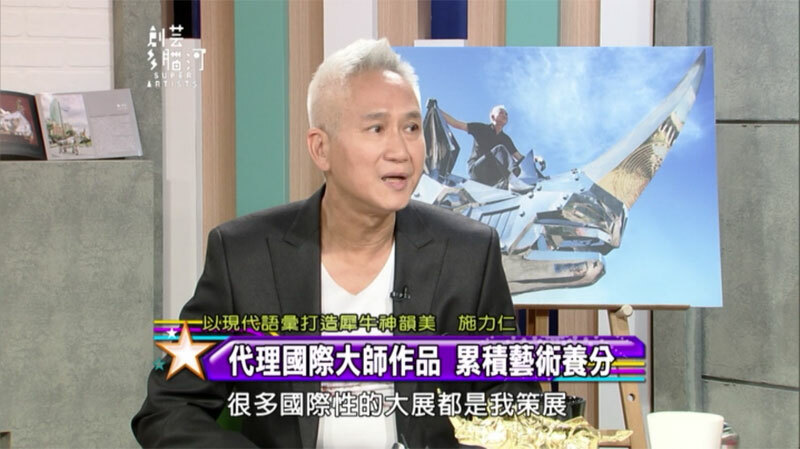 《鑽石金鋼》施華洛世奇120周年特展 "Celebrating 120 Years Heritage and Innovation"